Gift card feature allows customers shop for customized gift cards that best fit their preferences with discounted price to use for themselves or send to loved ones on special occasions. 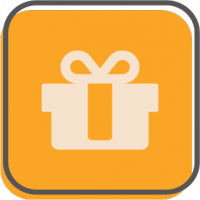 Creating magnetic promotion programs for your mobile shopping app with Gift Card feature from SimiCart. Gift card feature allows customers shop for customized gift cards that best fit their preferences with discounted price to use for themselves or send to loved ones on special occasions. Gift cards create a personal touch that customers appreciate, strengthen relationships with your brand and encourage them to create value for your store. This feature is proven to bring in new potential customers, drive order value, trigger repeated purchases and grow brand loyalty while fully engaging customers within your apps.